Julie M. Miller is a trial paralegal for Bush Seyferth & Paige with over 18 years of experience in high-profile product liability, general negligence, and complex commercial litigation cases nationwide. She provides detailed research and case preparation while managing all aspects of litigation with local counsel, investigators and experts. In 2010, Julie managed, organized, and participated in more than a dozen high-profile arbitrations that were executed during a three-month period of time. 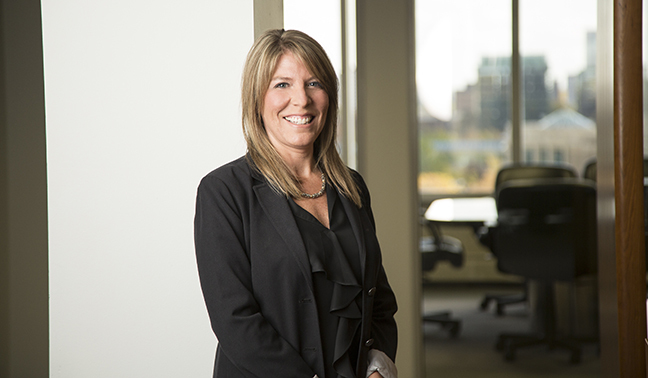 In addition to her role as trial paralegal, Julie is involved in the firm’s marketing initiatives and prepares multimedia presentations for client meetings, mediations, mock trials and trials. She has extensive experience in vehicular claims and components including front and side air bag systems, sensing and seat belt systems and general crashworthiness. Julie came to Bush Seyferth & Paige in 2003 after five years at Feeney Kellett Weinner & Bush, where she managed all aspects of product liability and automobile negligence cases. Julie also has experience working in-house at a major automotive manufacturer in the Office of the General Counsel as a Paralegal for Advertising, Marketing and Promotion matters. She resides in Rochester Hills with her husband Rich and their sons Jack and Nicholas.